The lands of Doonholm, in the barony of Alloway, south of Ayr, belonged to the town of Ayr until 1754. They were known at that time as Old Berriesden and Warlockholm. James Neill, of Ayr, acquired the lands in 1755, sold them to David Mitchell of Ayr, who in turn, sold them later that year to William Ferguson of London (a relative of the Ferguson's of Castlehill/ Ayrshire). William Ferguson had amassed a considerable fortune as a medical practitioner working in London. His high standing in the community, led to the post Provost of Ayr for a number of years. It was at that time, William Ferguson had the older portion of the present mansion house built and named the land Doonholm. On his death in 1776, William Ferguson left Doonholm to his eldest daughter Elizabeth, who married Malcolm Fleming of Barochan in 1780. The estate was bought by John Ferguson (a merchant in Calcutta) in 1783, who was a nephew of William Ferguson. The death of John Ferguson in 1790, saw the lands of Doonholm return to the Fleming's of Barochan. The Fleming's sold Doonholm to John Hunter in 1796. An addition in 1818 to Doonholm House gives the present day look. 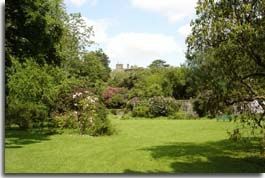 By the middle of the 1800s, Doonholm had been purchased by Lord Blackburn (one of Her Majesty's judges). The death of Lord Blackburn in 1896 saw Doonholm sold again, probably to the Kennedy's, the present day owners. Doonholm House and surrounding grounds are private and not open to the public. The most popular, and scenic canoe route in Ayrshire, is from the Riverside Inn next to the A77, 5 miles south of Ayr, down the River Doon, through Doonholm Estate and Alloway.